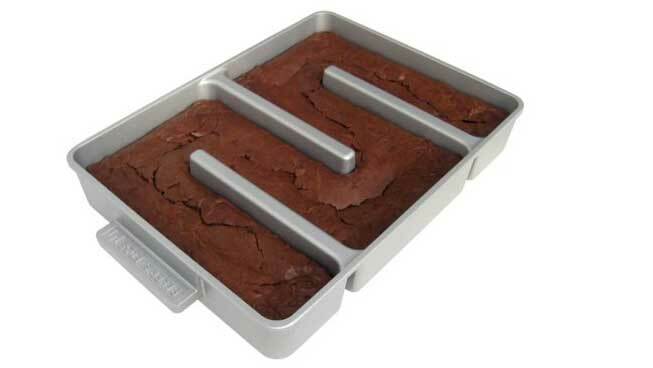 Looking for an all edge brownie pan that can produce endless amounts of chewie edges? If so, this pan is just what you’re looking from. The pan is nonstick and made from a durable aluminum. Designed to fit a standards size batch of brownies. Made in the USA and comes with a spatula and great brownie recipe. This pan makes all edges that are perfectly cooked. The first time is saw this product was on Shark Tank. The edges are the best part of the brownie pan, but with the pan every slice is an edge. It’s a great gift for the home or parties. The Endless Edge Brownie Pan will surely be a home run gift! I first saw this product on Shark Tank, here is the company’s pitch to the sharks.